Count me among the throngs of people who love cinnamon rolls. I’ll take them from a bakery, homemade, or even from a can. I’ve only made them myself a handful of times, and I honestly find that it’s more work than I am usually willing to do. I’ve seen lots of recipes for cinnamon rolls made with biscuit dough, but I’ve resisted making them so far. The idea is a great one, though. Instead of a yeasted dough, use a biscuit dough. Much simpler, right? Still I didn’t make any. Then I thought to make them with the quickest, easiest biscuits I’ve ever made. And now I don’t know if I can ever make them any other way. 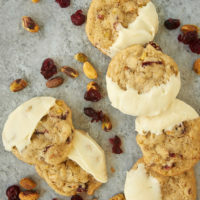 It all starts with the recipe for Cream Biscuits, which is my go-to quick and easy biscuit recipe. 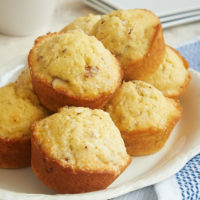 There are only three ingredients, and they mix and bake so quickly. To turn them into cinnamon rolls is really simple. Just make the dough, roll it out, add some cinnamon and sugar, roll, slice, and bake. It’s so easy. So easy, in fact, that it’s kind of dangerous. It may be possible that it is way too easy to whip up a batch of these. Frequently. Unlike yeasted cinnamon rolls, there’s no rising and only a few seconds of kneading to get the dough made. It rolls out beautifully, too. As with the biscuits, I brushed some melted butter over the top of the dough. 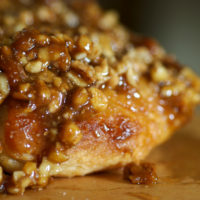 It adds buttery flavory, and it also helps the cinnamon and sugar hold onto the dough. I’ve found that a 9-inch round baking pan works really well for these. When you put the unbaked cinnamon rolls into the pan, they won’t fill it up, but they’ll expand as they bake. In the photo above, you’ll see a pan of unbaked cinnamon rolls next to the finished product just to give you an idea of how far to space them and how much they’ll spread in the pan. 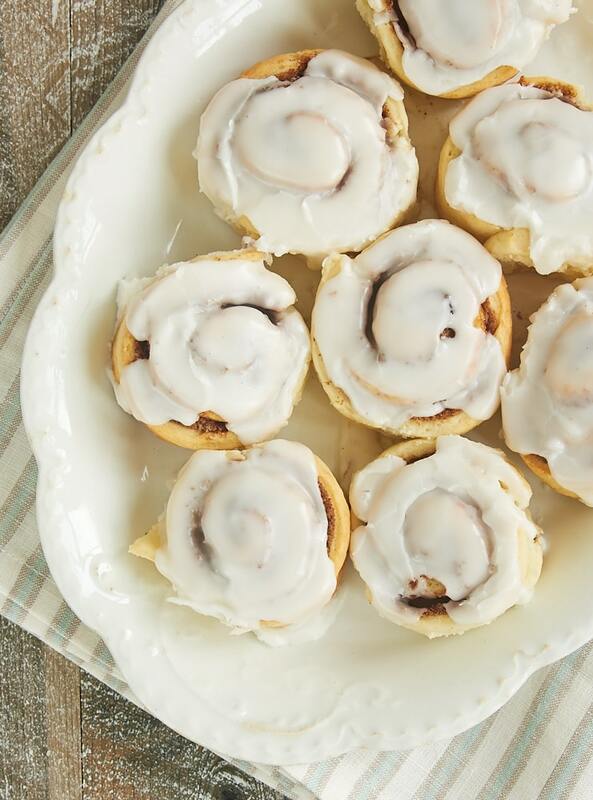 I like a simple icing for these cinnamon rolls. Dollop it on while the cinnamon rolls are warm and it will spread around and melt a bit. 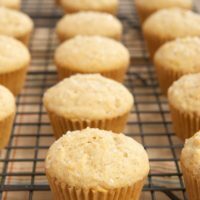 If you prefer a glaze versus icing, just increase the milk in the recipe. Add a little at a time until it’s the consistency you want. I’m happy to tell you that the unbaked cinnamon rolls can be frozen! That is a very good way not to devour an entire pan of these at one time. I usually place them on a baking sheet or in a baking pan, and place them in the freezer for 4 to 6 hours. Then just remove them and place them in a freezer bag or container. 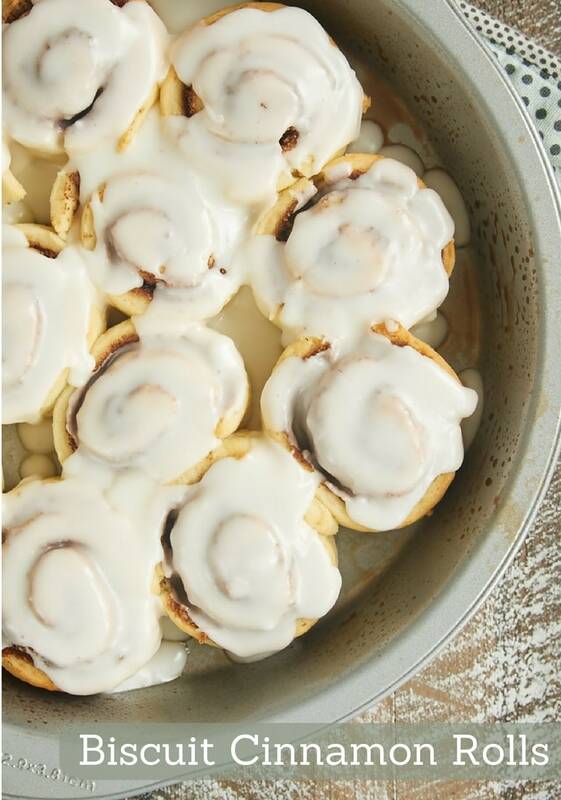 When your cinnamon roll craving strikes, place them on a baking pan and leave them at room temperature while the oven heats. You might need to add a minute or two to the baking time, so just keep an eye on them. 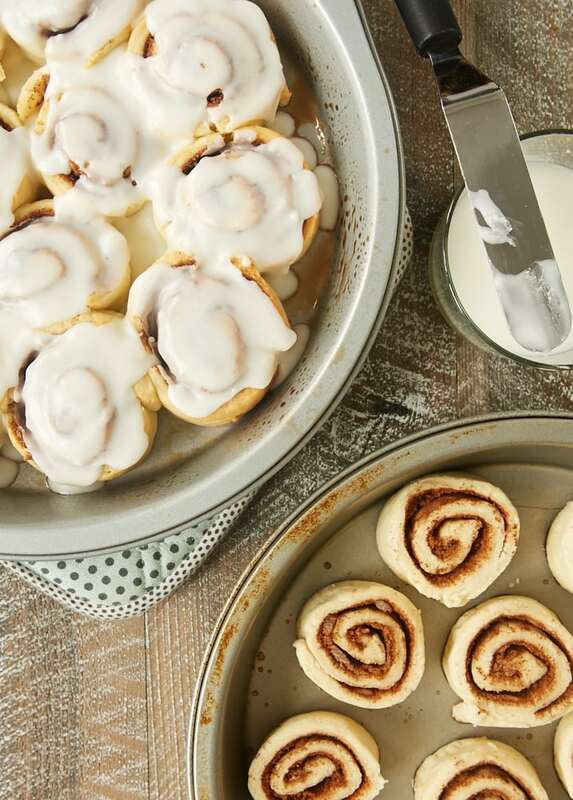 Whip up the icing while they bake, and you’re all set. 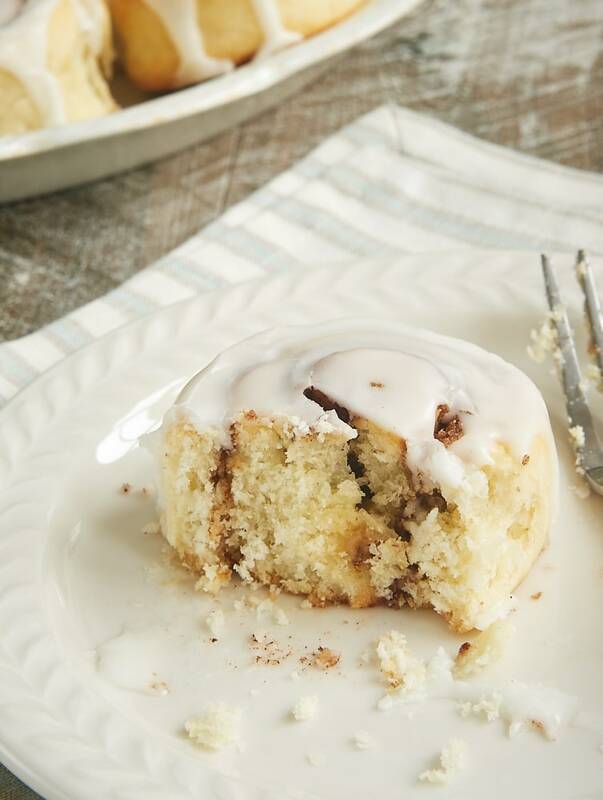 If you’re looking for a cinnamon roll shortcut that still tastes fantastic, then this is it. Combine the ease of preparation with the amazing flavor, and I’m completely sold. 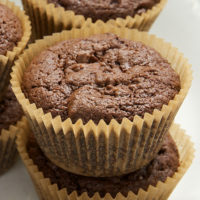 These are destined to become one of my most-baked treats! 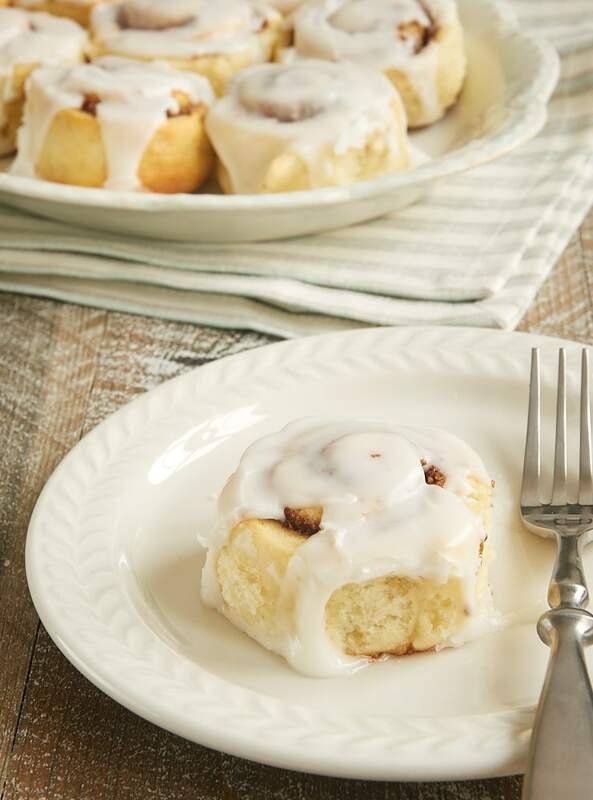 It has never been so easy to make homemade cinnamon rolls than with these Biscuit Cinnamon Rolls! 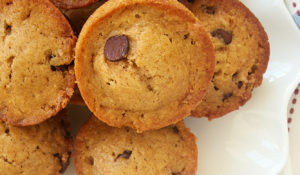 You can have these mixed and in the oven in record time! Preheat oven to 450°F. Grease a 9-inch round baking pan. Alternately, line the pan with parchment paper. Gather the dough into a ball, and transfer it to a lightly floured surface. Sprinkle the dough lightly with flour and knead a few times to make the dough a bit less sticky and ready for rolling. Roll the dough into a 9″x 12″ rectangle about 1/4″ thick. Brush the top of the dough with the melted butter, leaving about a 1/2″ margin along one long end. Dot that end with just a bit of the melted butter to help the dough stick to itself when rolled. 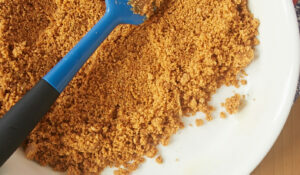 Combine the brown sugar and cinnamon. Sprinkle over the dough, leaving the same 1/2″ margin as with the butter. Starting with the long end that is buttered, roll the dough toward the opposite long end. Place the rolled dough with the seam on the bottom. Use a sharp knife to cut the dough into 1″-wide slices. Place the sliced dough in the prepared pan, laying each piece on its side. Space them evenly in the pan. Bake 12 to 15 minutes, or until the rolls are golden brown. 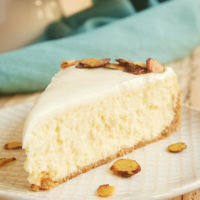 Combine the confectioners’ sugar and 2 tablespoons of milk. Add more milk, a little at a time, and mix until the icing is the desired consistency. Dollop the icing on top of warm cinnamon rolls, spreading as needed to cover the rolls. *I usually need just a bit more than a tablespoon of butter to cover the surface of the dough. Biscuit dough recipe slightly adapted from White Lily. 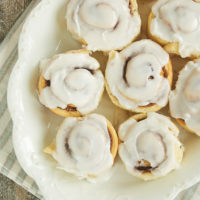 How do I get my icing to taste like bakery cinnamon rolls? Mine always has a bland taste, and not the taste I want. Help, please. Add a good quality vanilla to the icing, a cheap vanilla extract is fine for some things, not for icings though. 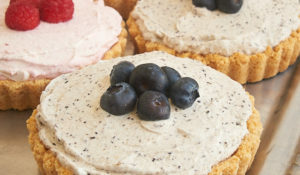 I use Watkins which is not expensive, but is much better than any other grocery store vanilla extract that I’ve found, and I’ve tried a LOT of them. . Also try adding a little cinnamon to the icing. 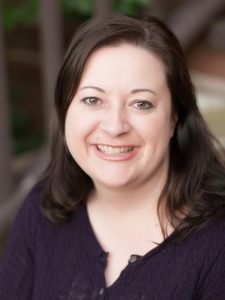 Hi, Deidre. I think the fat from the cream is needed to make the biscuits work, so I wouldn’t recommend substituting milk. This method should work with other biscuit doughs, though, although I’ve personally only tried them with the Cream Biscuits. Take a look at Buttermilk Biscuits or maybe even Cream Cheese Biscuits. Happy holidays to you and your family! Fat is always good and always adds another layer of texture and mouth feel to the icings. I really can’t wait to make these Jennifer. Thanks!